Some recent press releases about recall or blockage from sale of certain blood pressure tables may cause confusion amongst the public and even doctors. Which bloods pressure tablets are affected? Why are the drugs being recalled? The drugs by themselves do not cause cancer. In each case, a recalled drug was contaminated with N-nitrosodimethylamine (NDMA), N-nitrosodiethylamine (NDEA) or N-Nitroso N-Methyl 4-amino butyric acid (NMBA). Those chemicals are believed to cause cancer in humans. Research also suggests NDEA can cause liver and blood cell damage. A common thread among all of these recalls is that the drugs, or ingredients in the drugs, were all made in China or India. What is the risk of getting cancer from one of these drugs? The FDA says it is very small. The amount of NDMA found in the recalled valsartan drugs exceeds acceptable levels. Records from drug manufacturers show the impurity may have been in the valsartan products for up to 4 years. The FDA estimates that if 8,000 people took the highest valsartan dose, which is 320 milligrams, from recalled batches every day for 4 years, there would likely only be one additional case of cancer over the life of those 8,000 people. For context, 1 in 3 people in the United States will be diagnosed with cancer in their lifetime. Which ARBs in Malaysia are affected? Most ARBs are not affected. For example the original Branded products containing Losartan (Cozaar , Fortzaar, Hyzaar by MSD), Valsartan (Diovan, Exforge by Novartis) are not affected. What should patients do if the brand of generic losartan or valsartan they are taking is in the affected list? Contact your pharmacist or prescribing physician, if you have concerns that your medication/s may have been part of the recall. 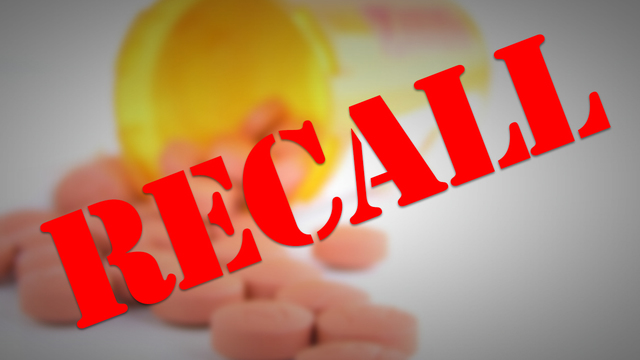 Do not stop taking recalled medication without first contacting your prescribing physician. Alternative blood pressure medicines exist and can be used in place of recalled medicines. Be sure to keep any prescription bottles and remaining tablets to show your doctor or pharmacist. Contact your primary care physician for appropriate testing if you are concerned that recalled blood pressure and heart failure medications may have affected your health.